To learn more about and support NSP at http://nigerianschoolproject.org and http://www.youcaring.com/other/books-for-tomarro/173201. Dena Florczyk educates students in two hemispheres. 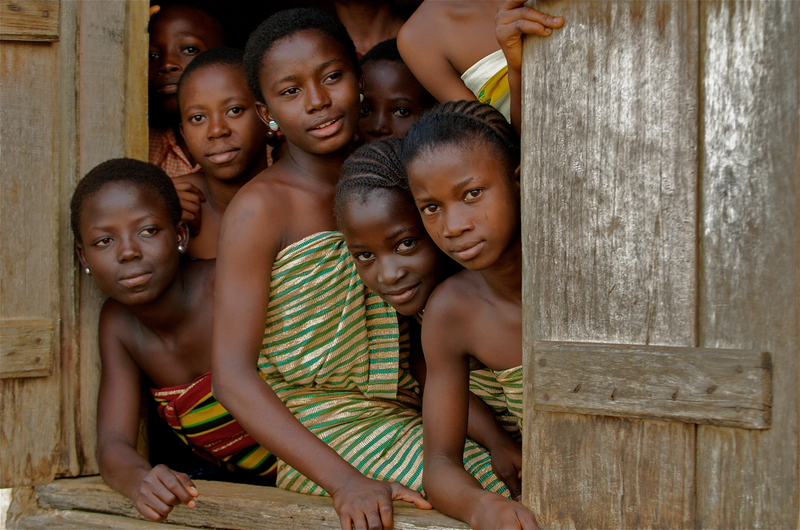 The middle school teacher in suburban Teaneck, New Jersey has aided numerous education programs and has had a school built in Nigeria. Her recent exhibition at the Stable Art Gallery in Ridgewood celebrated a decade of work in Africa through the photographs she has taken during her visits. The show also served as a fundraiser for her nonprofit, the Nigerian School Project. The pieces are not only a reflection of her photographic talents, but also the evolution of her relationship with the country. 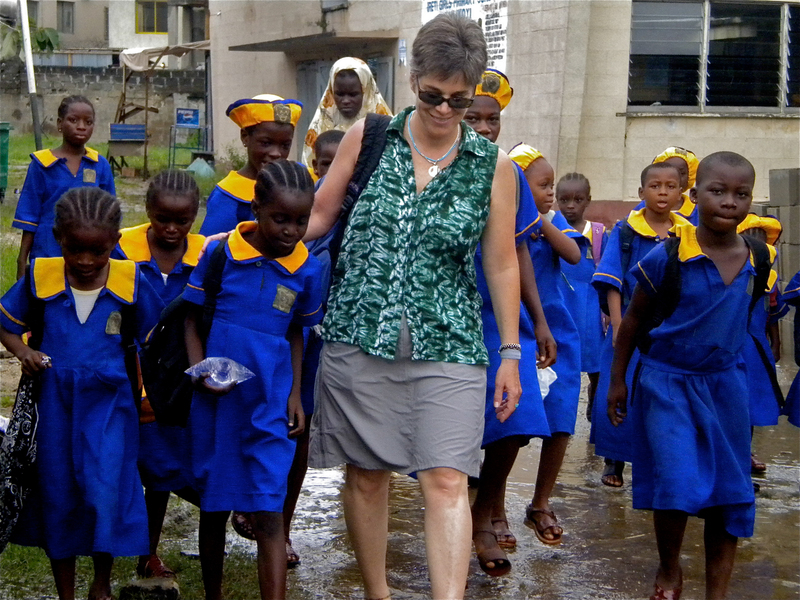 Through an opportunity with another nonprofit in Teaneck, Dena originally traveled to Nigeria’s commercial capital of Lagos with the interest of an educator. She was shocked by what she saw. The disparity between the wealthy and the impoverished is vast and obvious; “It is not an easy place to live.” Public classrooms typically overflow with sixty or seventy students and contain zero books. Among many things, she observed kids sharing pencils and as many as ten growing boys sharing seats built for three. Dena initially met with local teachers and asked them to write a wish list of supplies, imported box loads of pencils, helped to sew uniforms, taught workshops to juvenile offenders and created a small yearly cycle of modest fundraisers at home. Friends and family have also joined her on some trips to engage and teach local students. In addition, she undertook larger projects such as building school libraries and orchestrating a book drive. Following a friend who was working on malaria clinics in the region, she took a boat out to Tomarro. Upon reaching the shantytown “suburb” of Lagos, she was overwhelmed with a cacophony of noises and smells. There she discovered that the fishing community’s children are counted as fortunate if they had at least been enrolled in one of the area’s few elementary schools. Unfortunately, that’s also where their education usually ended; it is too expensive for them to take a boat over to the commercial capital. Despite the immensity of the task, the Nigerian School Project embarked on its grandest venture with the help the help of a financial benefactor and a local pastor. On that lot now stands the “Ibadan Public School,” a six classroom block with her name inscribed on the plaque beneath the school’s name. Tomarro’s people, who had felt ignored by their state, are truly proud of the establishment; they celebrated the opening with lively masquerades, drumming and dancing. Locals spoke about how the school put them “on the map” and legitimized their community. Now they can envision new opportunities for their children. Even though the government shuffled its feet to fulfill their obligation to fund the operation of the school for two years, the school did not remain idle during this time. The townspeople formed committees and hired teachers to ensure that the prospective pupils did not have to wait to enroll. Dena is currently awaiting updates and pictures of The Nigerian School Project’s newest endeavor. 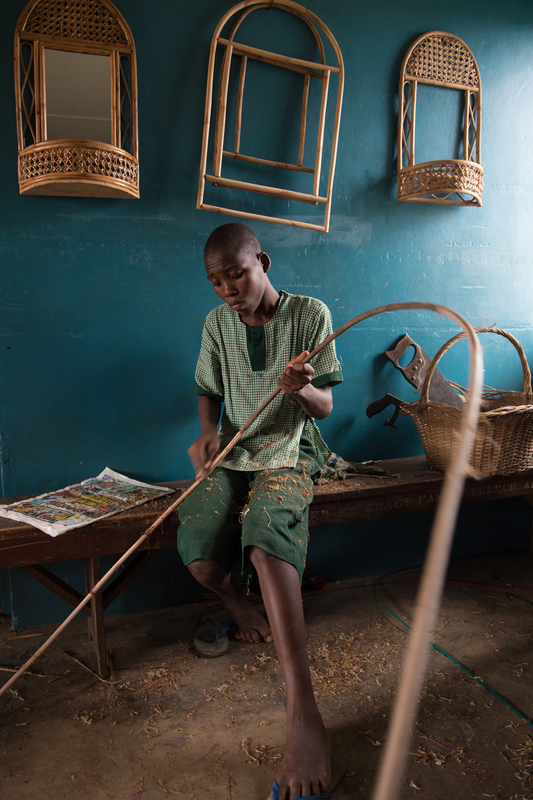 The high school will provide an opportunity for Tomarron children to have a complete education and, along with university scholarships, it will represent a full circle for Dena’s work in Nigeria. In such a tough environment, scholarships don’t necessarily mean success, but The Nigerian School Project has already been able to help one young man, Suru, to complete his education with a college scholarship. You can see her motherly pride as she speaks of Suru who she has known since he was a young school boy. Now a Nigerian naval officer, Suru is also one of her trusted Nigerian connections when she is in the States. “I don’t have that edgy, aggressive behavior because I don’t want to step into a situation like that,” Dena refers to the dance that she does between wanting to capture a situation and not wanting to be intrusive. Although she loves to photograph, it is not Dena’s priority when she is in Africa. She accepts that some people consider her images to be too pretty; she’s simply attracted to the lines and colors of a scene and does not seek to exploit the rawest moments. 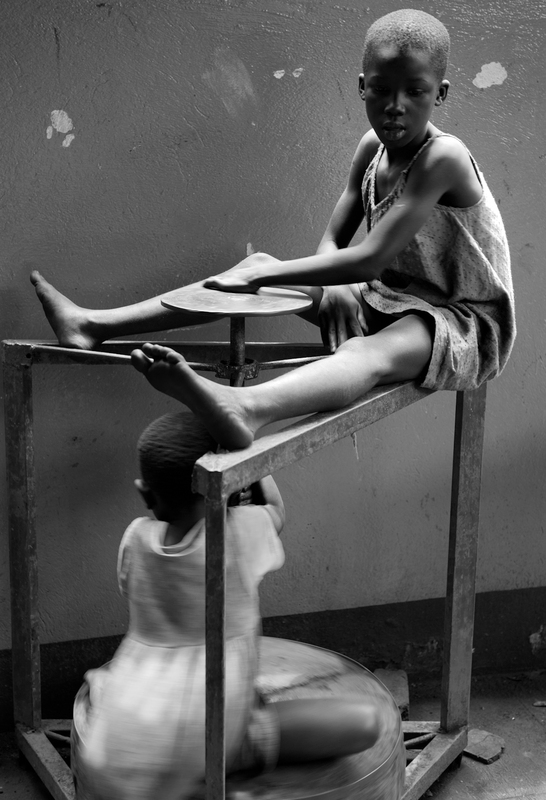 One of her favorite photographs is one she took in Uganda; she loves the movement of the potter’s wheel and the playfulness of the children within the composition. Smiling, she remarks how “they just want to play.” Her photographs do not ignore the poverty and difficulties that plague these areas, but they do not dwell on them either. “People are very proud regardless of their circumstance…they are very proud of who they are and their culture, fiercely proud, and I don’t want anyone feeling that I’m judging that.” As an intimate observer, she elevates the youth she photographs and conveys what she sees in them; engaging, smart motivated students and sometimes, just simply, children. Whether its her photography or the schools that she has had built, this little school teacher from New Jersey empowers the voice of the young through sincere portraits and the civil right of literacy. 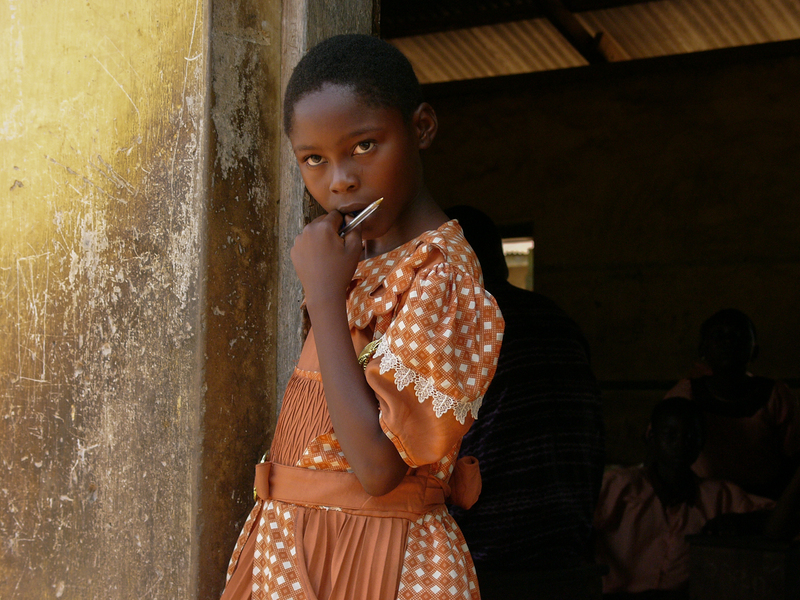 To view more of Dena’s photographs and to learn more about or support the Nigerian School Project, please visit http://nigerianschoolproject.org. ***UPDATE*** “The Nigerian School Project is thrilled to announce the completion of the first high school on Tomarro Island. Walls are painted! Desks have been built! It’s interesting information. I love the pictures :). Tank you so very much for stopping by! I like to share a technique whereby a pencil can be used better. Such kind of pencil are not marketed by pencil manufacturer as it will lower their income. though such pencil holder exists and are available in Japan. I will check if i can find some sponsor for your project. You don’t now know how much I appreciate your comments and advice. This is information that I will pass on to my colleague.